Under French law, investments made by non-EU investors and, to a lesser-extent, EU investors may be subject to a prior authorisation of the French Minister of Economy depending on (i) the nature of the investment, notably, the level of control sought in the French target and (ii) the sector in which said company operates. The decree No. 2018-1057 dated 29 November 2018 on foreign investments subject to prior approval (décret relatif aux investissements étrangers soumis à autorisation préalable, the 2018 Decree), among other amendments to the foreign investment regime, extends the scope of foreign investment regulations to new sectors, in particular the so-called “sectors of the future”. With the 2018 Decree, coupled with the contemplated modernisation of the overall regime in the context of the future PACTE law, the French State clearly states its intention to be less “naïve” and catch up with the protective systems implemented by a growing number of G20 countries. When engaging in cross-border M&A transactions, investors will, now more than ever, have to plan carefully their contemplated investment in order to ensure a successful outcome - see here. technical systems designed for capturing computer data and which may enable the interception of correspondence. The 2018 Decree also extends the requirement of a prior authorisation to investments in activities related to (i) development, manufacturing, use and operation of certain weapons and war equipment (while only activities related to research, production and trade of certain weapons and war materials were covered by the previous regime) and (ii) research and development on a new list of dual-use goods and technologies. Investments in companies holding a service contract with the Ministry of Defence may also be subject to the prior authorisation of the Minister of Economy. Such extension of the scope of the foreign investment control regime will apply to investments that are notified to the Minister of Economy from 1 January 2019. Investors which have already signed a sale and purchase agreement for the completion of an acquisition occurring post 1 January 2019 and which have not yet filed any application should therefore pay special attention to the 2018 Decree to ensure that the activities of the French target are not part of the new strategic sectors. 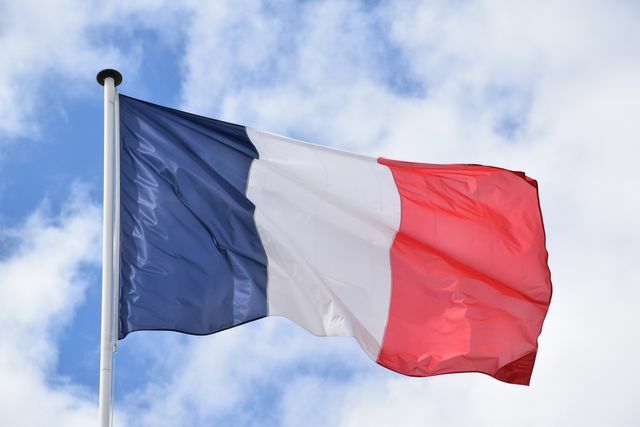 From 2 December 2018 on, French targets are entitled to submit a request to the Minister of Economy in order to enquire whether the contemplated investment falls within the scope of foreign investment regulations. Prior to the 2018 Decree, only the potential investor could file such request. A ministerial order (arrêté) should be taken in the near future to detail the content of this request. This order should also clarify at what stage of the transaction this new procedure could be initiated. In the event that the target has to notify the name of the investor, this new procedure, which assuredly offers more flexibility, would be of limited value to the target and the potential investors in the context of an auction process. Amongst the conditions that can be imposed by the Minister of Economy for an investment to be accepted, the preservation by the investor of the “sustainability of technologies” and/or of “data protection” are added by the 2018 Decree. New motivations that can justify a prohibition are also introduced: “serious presumptions that the investor is likely to commit an offence” of espionage, undermining French institutions or defence or territory, active corruption abroad or active trafficking of influence abroad. These amendments will also apply to investments that are notified to the Minister of Economy from 1 January 2019. The 2018 Decree is the first step in the strengthening of the effectiveness of the French State’s control over foreign investment in strategic sectors. The next step shall be made through the draft law “for growth and transformation of companies” (Loi portant Plan d’Action pour la Croissance et la Transformation des Entreprises, Loi PACTE) which proposes to extend the Minister of Economy’s remedial powers and the panel of possible sanctions in case of breach of the French foreign investment regulations. Under the leadership of France, Germany and Italy, foreign investment is also a new concern for the European Union. Following the political agreement reached on 20 November 2018 by the European Parliament, the Council and the Commission, a EU framework for screening foreign direct investment, which would, among others, establish a cooperation mechanism between Member States and the European Commission is expected to be approved in the first quarter of 2019 - see here.